Queen are a band of contradictions: A hard-rocking '70s act with arty, prog-rock ambitions; global superstars ignored in America during their most commercially successful years; a band defined by their larger-than-life frontman that continue to prosper without him in 21st century. But it's these seemingly incongruous pieces that make the English quartet and their music such an enduring part of their fans' lives. Formed by guitarist Brian May and drummer Roger Taylor as Smile, friend and fan Freddie Bulsara soon joined. A virtuosic singer with charismatic stage presence, he convinced them to change their name to Queen while renaming himself Freddie Mercury. The addition of bass player John Deacon cemented the lineup that would survive the entirety of their recording career. "Seven Seas of Rhye" from Queen II became their first Top 10 hit, but it was 1974's Sheer Heart Attack that announced the band as a force to be reckoned with. 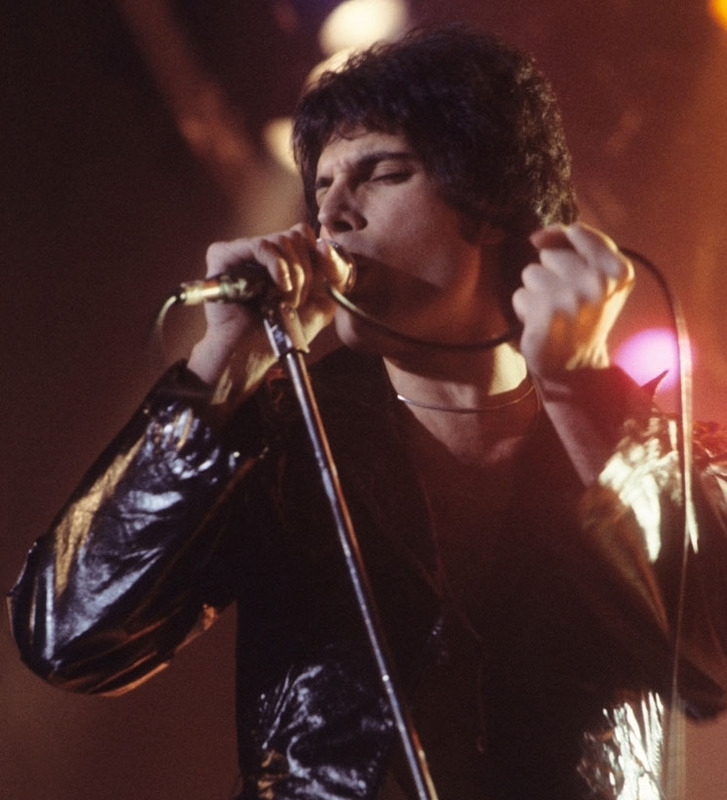 Buoyed by the epic "Bohemian Rhapsody," 1975's A Night at the Opera vaulted Queen into the upper echelons of '70s rock gods. They finally conquered America in 1979, when "Crazy Little Thing Called Love" hit #1, a feat followed by "Another One Bites the Dust" from The Game the following year. A 1981 greatest hits compilation went on to sell over 25 million copies worldwide. A spontaneous collaboration with David Bowie produced "Under Pressure," considered by many to be among each artist's finest moments. But 1982's disco-indebted Hot Space was poorly received by fans and critics, and the rest of the '80s were not kind to Queen in North America. As attention waned somewhat Stateside, the quartet conquered the globe with singles like "Radio Ga Ga" and "I Want to Break Free." Still, they came under fire for performing in apartheid-era South Africa in 1984 during a United Nations cultural boycott — the band maintained that they simply wanted to play for their South African fans. This low point was quickly followed by what many consider the crowning achievement of Queen's career. Their commanding performance at 1985's "Live Aid" stole the show, overshadowing everyone from Madonna to a reunited Led Zeppelin. That year saw the band's final live gigs with Mercury, culminating with two soldout shows at Wembley, documented on the double album Queen at Wembley. Mercury was diagnosed with HIV in 1987. Undeterred, he threw himself into studio work, producing 1989's The Miracle and 1991's Innuendo as well as a solo album with opera singer Montserrat Caballé. Still, Mercury's increasingly gaunt appearance and long-running speculation about his sexuality fuelled reports that he was sick. On November 23, 1991 he confirmed that he had AIDS. He died the next day. A tribute concert featuring Elton John, Guns N' Roses, Metallica and George Michael cemented the band's influence, while the inclusion of "Bohemian Rhapsody" in the film Wayne's World introduced the band to a new generation. Deacon officially left the band at the end of the decade, but May and Taylor continue to perform with singers Paul Rodgers and now Adam Lambert standing in for Mercury. Coupled with the hit musical We Will Rock You, they've ensured that the band's legacy continues to thrive. Queen biopic Bohemian Rhapsody, starring Rami Malek as Freddie Mercury, is in theatres on November 2.